It has been a very long while since I updated my veggie garden blog. Not because I've been slack. 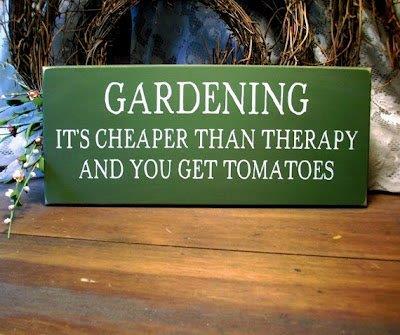 Not because I haven't been growing veggies. But because I have been angry. So very angry. And frustrated, frustrated beyond belief. But it is time to update, and time to let you know why I haven't updated, what has had me so angry and why I am so frustrated. Seeds! Those tiny little specks we take for granted, that we drop into the soil, water, fertilize and watch grow. Those very tiny, very precious givers of life. My gardening blog is called "My Heirloom Veggie Garden" with the emphasis on "Heirloom" because I believe that the heirloom seeds I use to grow our food are the best, safest and most productive seeds I can use. The last 20 months have seen me researching seeds, and from them the food I feed my family, and what I have learned at first upset me, then it scared me and then it angered me. I am still angry and now I am also very frustrated. I am angry at seeds being protected by a patent. I am angry at governments for allowing something that is natural, produced by nature, to be protected by patent. I am angry that governments deliberately changed patent laws to allow this to happen. I am angry that large multi-nationals the likes of Monsanto (the world's largest supplier (and owner) of seeds), DuPont, Syngenta, Sakata, Bayer and others are allowed to own the right to plant and save seed, that they can be allowed to genetically modify seeds and then patent not only the GM seed but the original heirloom too. I am angry that if a GM seed pollutes my heirloom seed veggie garden that I am in breach of patent laws and I will have to pay the price. What the? If that isn't totally screwed up logic I don't know what is. I am angry that we have politicians so weak that our government caves to the pressure of these disgusting corporate giants and leaves us, the citizens of Australia, to suffer. And we will suffer (if we are not already). We will suffer with higher seed prices for a start. Then we will suffer the loss of true seeds. We will suffer the loss of good, nutritious food (that's already happening - over 80% of corn varieties are already infected with GM strains). We will suffer with higher food prices because crops from GM seed are already facing problems with the very pests and diseases they were modified to prevent. The world is starving and it is starving not because of drought or flood or poor farming practices. It's starving because just 10 companies own the patent rights to 67% of the global proprietary seed market with the top three companies (Monsanto, DuPont and Syngenta) accounting for 47% of that market. I have been angry long enough. It's time to take a stand and the only way I can do that is by tending my heirloom veggie garden, re-sowing, harvesting and faithfully saving the seed, and by sharing my experiences right here and on my gardening blog. If you'd like to know a little more, watch this You Tube clip, Seeds of Freedom. It is very interesting wherever you stand on growing your own food, GM crops and climate change. I couldn't agree more... We keep hearing about major food shortages coming our way globally and I suspect that these Corporations are gearing up to protect their incomes and the distribution of food = controlling the population. Be afraid, be very afraid !!!! Sherrie it makes me wonder though - just how weak are we that we keep putting these people whom we know will not do the right thing for us, regardless of their political alliance into the position where they make the decisions that we live with? I wonder why we as one voice do not insist they do the right thing?